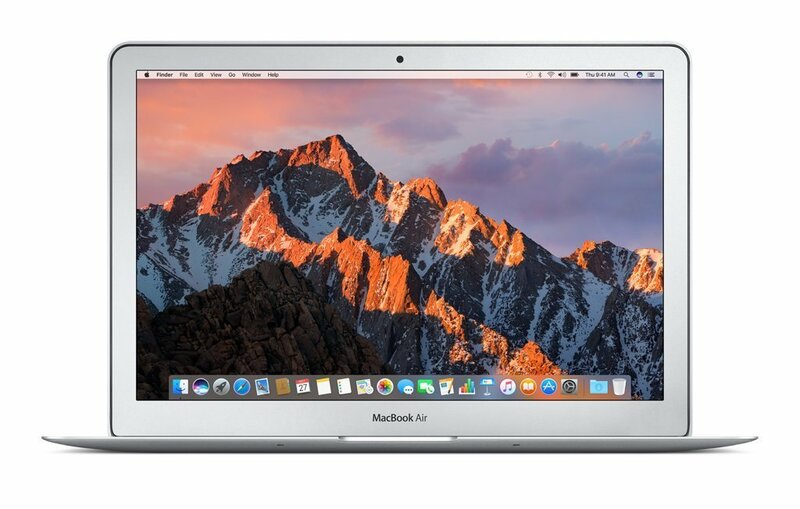 The latest release Apple 13-inch MacBook Air (MQD42LL/A) is a high-end, lightweight and portable laptop with a very long battery life and amazing picture quality for those that travel frequently. It is very light with a 2.96 lb. weight despite having all the power, functionality and ease of use, as well as the reliability of Mac OS and the best quality components used on all Apple computers. Technical specs include the dual-core Intel i5-6260U processor (3MB shared L3 cache) at 1.8GHz up to 2.9GHz with turbo boost, 8GB LPDDR3 onboard memory at 1600MHz for more than adequate multitasking power, 256GB PCIe-based SSD and the much loved 64-bit Mac OS Sierra operating system with the brand new user-friendly features and built-in security. You will also be offered to upgrade free of charge, each time a new version of Mac OS comes out. 13.3-inch diagonal LED-backlit display with 16:10 aspect ratio has the 1440 x 900 pixels native resolution and supports millions of colors. Image quality is quite good overall with vibrant colors and great contrast. But you can’t really expect it to be as great as the Apple machines with Retina displays. For those that work in jobs that require creativity, this one offers decent multimedia power and features. As you may probably be aware, Mac computers are not traditionally designed for advanced gaming. The built-in top end Broadwell Intel HD 6000 graphics card with a benchmark score of 831, performs better than the previous Intel HD 5000 by up to 25% and a bit less than the dedicated NVIDIA GeForce 820M and you can play the latest games only at lower settings. And you will have no problems with all the other multimedia tasks. Mac Air offers plenty of graphics power for the usual daily media related stuff, media production, and video playback. And with the Solid State Drive, rather than a traditional mechanical drive, it will feel very responsive and you will be able to do everything quickly and smoothly. It includes a great quality 720p FaceTime HD webcam on the top of the bezel for your live chats on FaceTime and Skype. Sound quality through its dual stereo speakers is not as good as an iMac but pretty good from such a thin and compact machine. 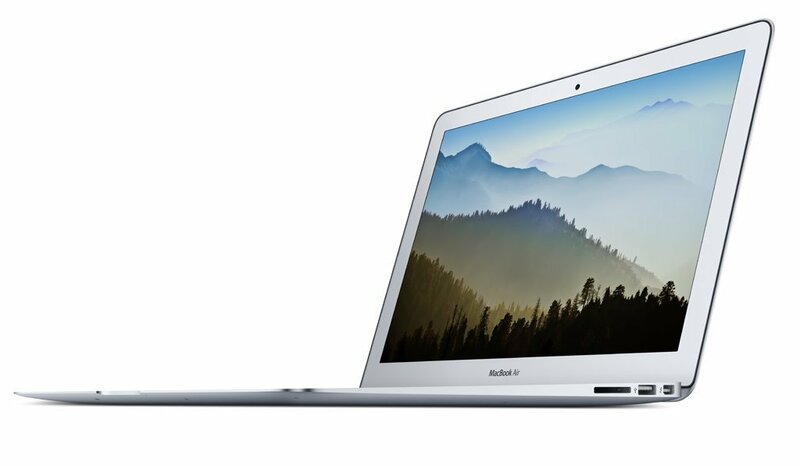 The new MacBook Air is very slim and lightweight as it weighs just 2.96 pounds with the measurements of 0.68 x 12.8 x 8.94 inches. It offers up to 12 hours of impressive battery life, which is great for your travels when you’re on the go or out and about all day. Connectivity options include the SDXC Card Slot, 2 x USB 3 ports up to 5 Gbps and a Thunderbolt 2 port up to 20 Gbps, the faster 802.11ac wireless that is compatible with the older 802.11bgn, Bluetooth 4.0, a 1/8″ output for headphones and the MagSafe 2 power port. The 12-hour battery life from its 54W lithium polymer battery works for things like video playback, songs and web browsing through WiFi. And you have up to 30 hours of standby time. As compared to the MacBook Pro laptops and iMac desktops, the focus is more on the portability and ease of travel, but with still plenty of processing performance that is also better than the previous generation MacBook Airs. You have the sixth generation ultra low voltage Intel i5-6260U processor with a Passmark benchmark score of 4377.